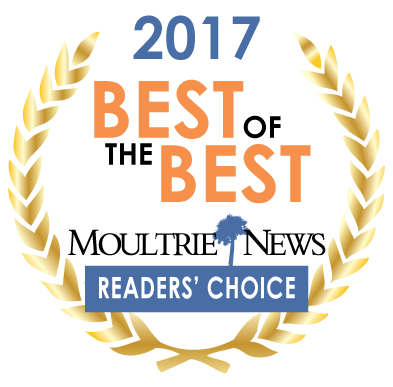 Now that the votes are in, Moultrie News is hosting our annual party to showcase the winners of this year's Readers' Choice Best of the Best. Join us and the contest winners to celebrate with food, drinks, and door prizes. Tickets to the public are limited, so pick up yours today to join in the fun! Winners of the Moultrie News’ 2017 Readers’ Choice Best of the Best will be recognized at a party at Alhambra Hall, July 27 from 6 to 8:30. The celebration is being hosted in cooperation with the Town of Mount Pleasant. The title sponsor is Tara Griffin, DDS. The winning businesses and individuals were selected by readers who live, work, and play in East Cooper. Business owners and employees, along with their guests will enjoy food prepared and donated by East Cooper’s Best Restaurants and beer and wine from Bottles Beverage. Arrive on time to enter to win awesome door prizes donated by fellow business winners.